We’re pleased to offer direct mail services. But what is direct mail exactly? It’s a service that lets us send out print materials from our facility on your behalf. So how do you use this service? 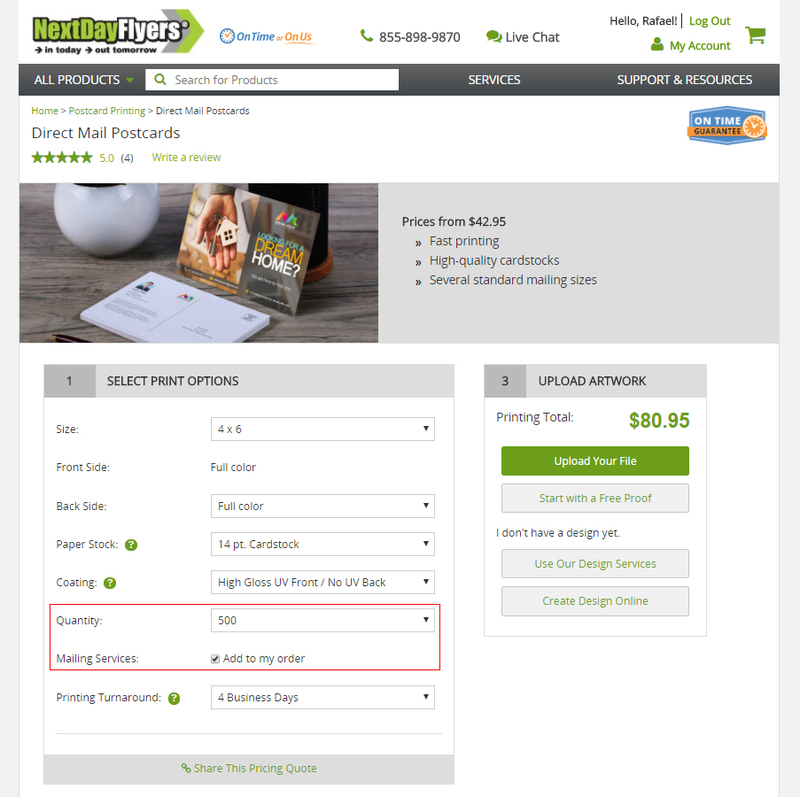 Direct mailing is readily available for three products: postcards, brochures, and rack cards. Once you’ve selected any one of these three products, you can configure your order as you normally would. However, mailing services are only available for orders amounting to 500 pieces and above. 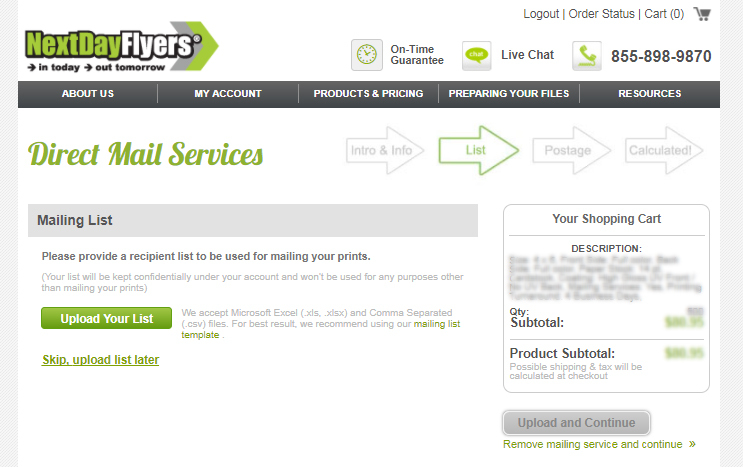 Once a proper quantity has been selected, a new option will appear: mailing services. Ticking the box will allow you to upload a mailing list further into the order process. Continue working your way through the order process until you’re asked to upload a mailing list. A mailing list is a Microsoft Excel file containing rows and columns with details that specifies a recipient’s company name, first name, last name, street address, alternate street address, city, state, and zip code (a mailing list template will be made available for you to download). You can create mailing lists to target specific people through demographic and geographic data, income, age, or educational level so you’ll only reach the ones interested in what you have to offer. You have the option to temporarily hold off on uploading your mailing list if you prefer to do so at a later time. After your product has been printed, we’ll send them out to everyone on your list. Custom products can also be mailed. Get in touch with us by phone or live chat to process and we’ll set up a direct mail campaign for you. If you have further questions about how direct mail works, feel free to contact us by phone or online chat.